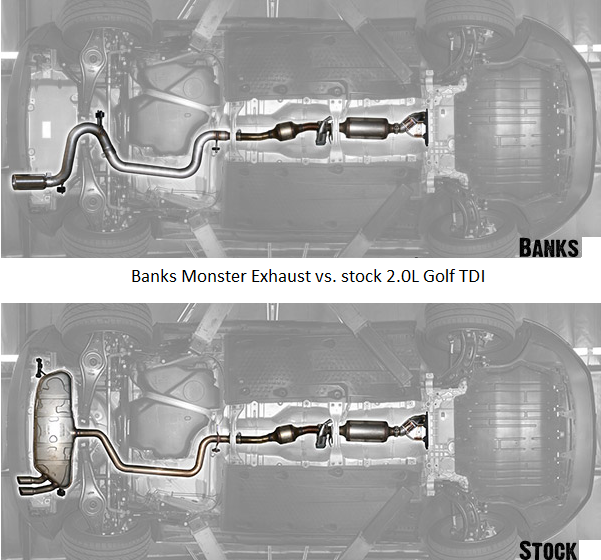 Based on the success they’ve had with their popular 3 Inch Stainless Monster Exhaust for the 2.0L CR Jetta TDI, we’re pleased to announce that Gale Banks Engineering has now released a Banks Monster Exhaust for 2010-2012 VW Golf TDI’s. Made from stainless steel, the CR TDI exhaust system retains your emissions control equipment while eliminating all remaining factory restrictions. It removes your muffler, and replaces the stock dual exit tips with a massive high-polished 304 Stainless steel tip. This exhaust is a great starting point to help take your Golf to a whole new level of diesel performance. More quickness off the line, more power throughout the RPM range, less heat, and better fuel economy … all in one simple bolt-on package. 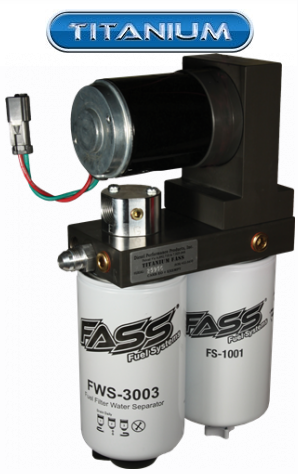 For this and our whole line of TDI performance parts, visit us at Parley’s Diesel Performance.